"SEGA's classic arcade racer returns. Experience multiplayer OutRun via Live Arcade. Race 10 Ferraris on 15 challenging courses, all in stunning Hi-Definition for the first time. 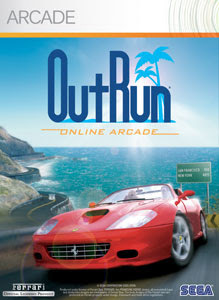 OutRun Online Arcade - it's a beautiful journey." Outrun will cost 800 points ($10.00) and will take up 352 MB of Space.